We have seen the Motorola ATRIX HD in the past, back when it was known as ‘Dinara’. Now suddenly we find the product page live on Motorola's website even before the company made any official announcements. Looking at the ATRIX HD you can see a strong resemblance to the RAZR. The phone has a similar sleek profile and a Kevlar covered back that curves upwards near the camera. And the specs of the phone match its good looks. On the front we have a 4.5-inch HD LCD with ColorBoost technology and a 1.3 megapixel front facing camera. On the back is a 8 megapixel shooter that can also capture 1080p videos. Inside there is a 1.5GHz dual-core processor, 1GB RAM, 8GB memory (expandable) and a 1,780mAh battery. The phone runs on Android 4.0 Ice Cream Sandwich and you can even see that it uses on-screen navigation controls like the Galaxy Nexus. The phone will be available on AT&T's LTE network. 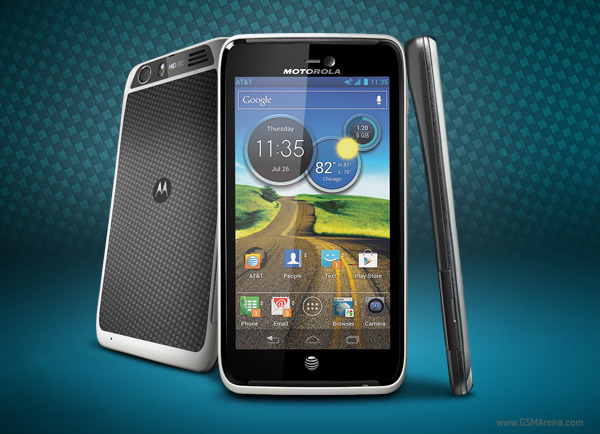 Pricing and release dates should be available when Motorola makes the official announcement. Very good point. But in my reply I wac focusing a bit more on recent innovations. The list over Motorola innovations through time is quite vast ;) But they are the cell phones father, the most important thing in cell phone history. No, LG optimus 2x came after Atrix.